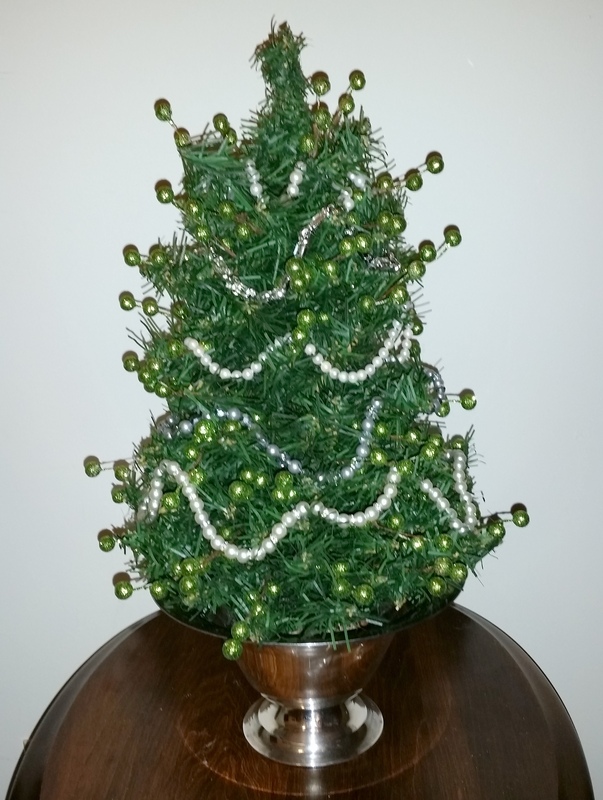 What could be more charming than a Jeweled Tabletop Christmas Tree? In this post I will show a beautiful tabletop Christmas Tree created with various pieces of jewelry, the ones I used came from my personal jewelry box and include pearl and rhinestone necklaces, brooches and earrings. Most of these items were purchased from a variety of vintage stores and Ebay, but heirloom jewelry passed down from a mother or grandmother would also make a very sentimental Christmas decoration. Select a container, the size is determined by the size of the tabletop Christmas tree used. 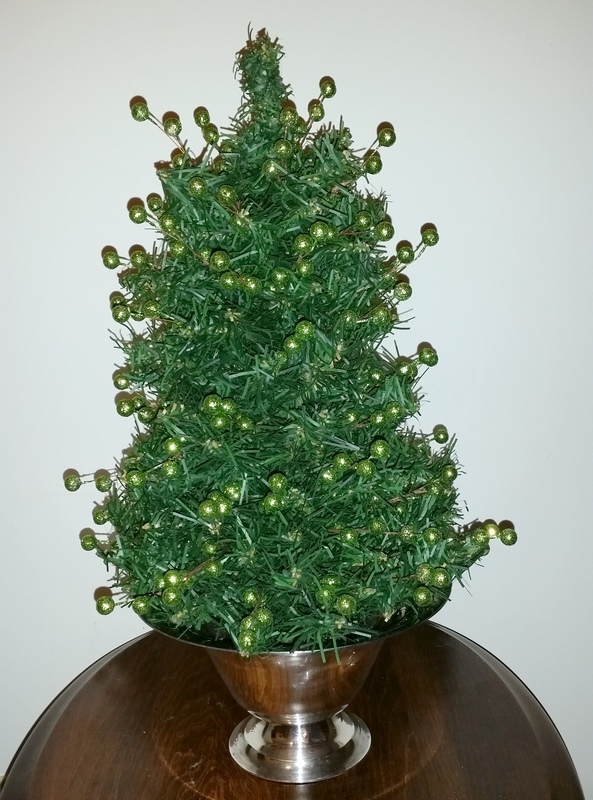 Add pearl sprays to the tree, I used green ones to add interest but in a color similar to the tree because I wanted the jewelry to be featured without distraction. 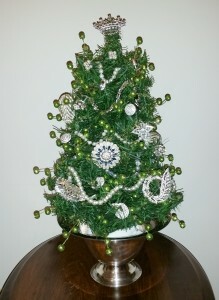 Add several necklaces to the tree, I arranged them so that they gently swagged across the tree. 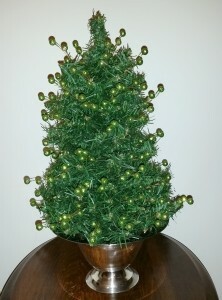 Add brooches and earrings, start by positioning the larger pieces at the bottom and the smaller ones toward the top. 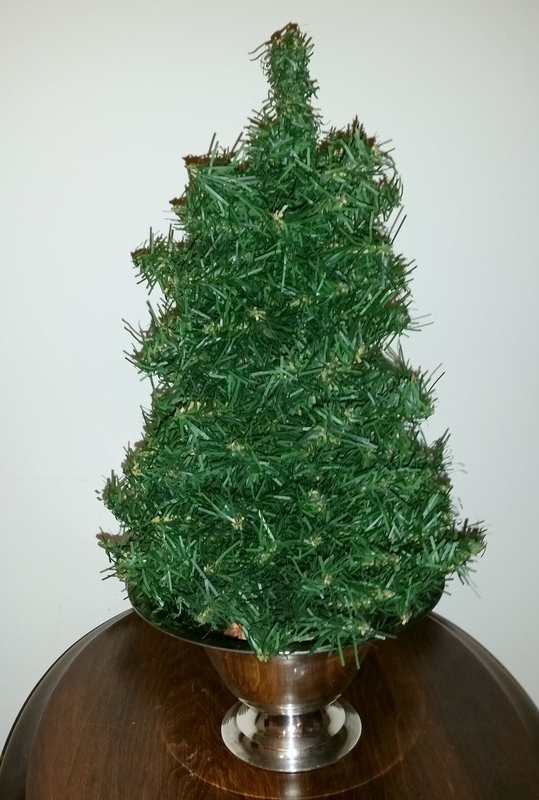 Set aside a special one piece of jewelry for the top of the tree (I used a crown brooch). Set some white material inside to fill the container for a finished look. 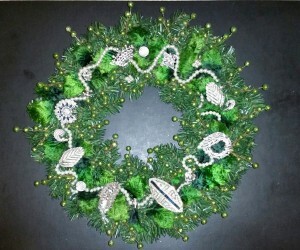 Shown below is an alternate craft project, it is a lovely jeweled wreath using the same supplies as the tabletop tree.